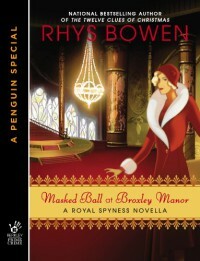 Masked Ball at Broxley Manor - Fangirls Ahead! It's fun. though I did have problems with the fact that Georgiana wants to marry some hot stranger because he's the love of her life and wants to marry him but also rejects another not-so-hot dude's marriage proposal because she doesn't know him well enough. but it was still fun.